In total the company will deliver 70 of its wind turbines in the provinces of Zaragoza (31) and Valladolid (39). All of the nacelles will be made at the factory in Ágreda, Soria, where production has increased by 20% in the past year. All of the contracts include operation and maintenance agreements. Siemens Gamesa continues to cement its position as Spain’s leading wind energy original equipment maker. The company has recently sealed deals with WPD, Brial and a major energy company for the supply of 233 MW. All of these projects fall under the scope of the renewable capacity allocated in recent auctions. In total, the company will install 70 of its wind turbines at eight wind farms being developed in the Spanish provinces of Zaragoza and Valladolid during the first half of next year. It will also operate and maintain all of these new facilities. Most of the orders are for the SG 3.4-132, one of the company’s most cutting-edge and efficient turbines. The company will also install the SG 2.1-114 and the SG 2.6-126 at some of these facilities. The majority of the blades for these turbines will be made at the Aoiz factory in Navarre, the As Samozas factory in Galicia and the Moroccan facility in Tangier. The nacelles, meanwhile, will be manufactured at the Ágreda factory in Soria, a facility which has seen its production increase by 20% in the last year. More specifically, the company has been mandated to supply 39 of its SG 3.4-132 turbines (135 MW) to independent power provider WPD at the El Poleo, Las Panaderas and Navillas wind farms, all of which are located in Valladolid. It will also service these facilities for five years. In addition, Siemens Gamesa has been contracted to supply Brial with another 20 turbines for the Tinajeros, Agón, La Nava and Los Cierzos wind farm developments in Zaragoza. The turbines to be installed at these complexes, a mix of the company’s SG 3.4-132, SG 2.1-114 and SG 2.6-126 models, represent capacity totalling 62 MW. In this instance, the company will maintain and operate the wind farms for a period of 10 years. 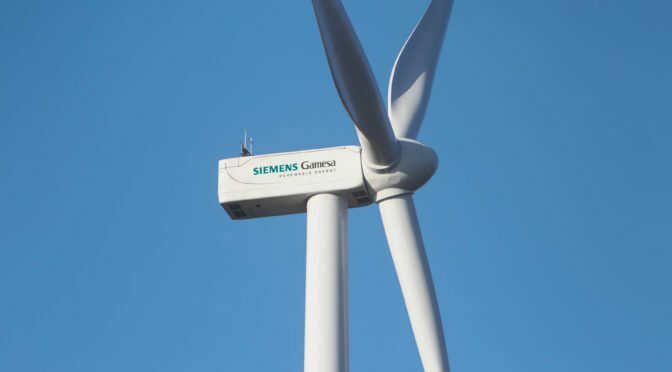 Lastly, Siemens Gamesa has executed an agreement with an important energy company for the delivery of 36 MW (11 turbines) at a development in Zaragoza. Including these new orders, the company has announced contracts totalling 874 MW of capacity in Spain in recent months. 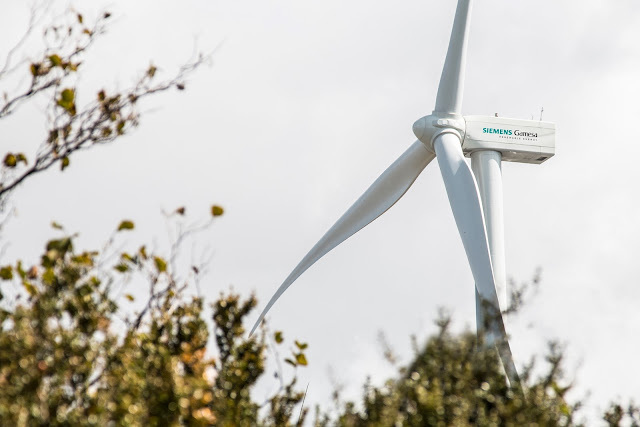 These new orders reinforce the company’s leadership position in Spain, where it is the number-one OEM, having installed nearly 55% of the country’s total installed base (close to 12,500 turbines). 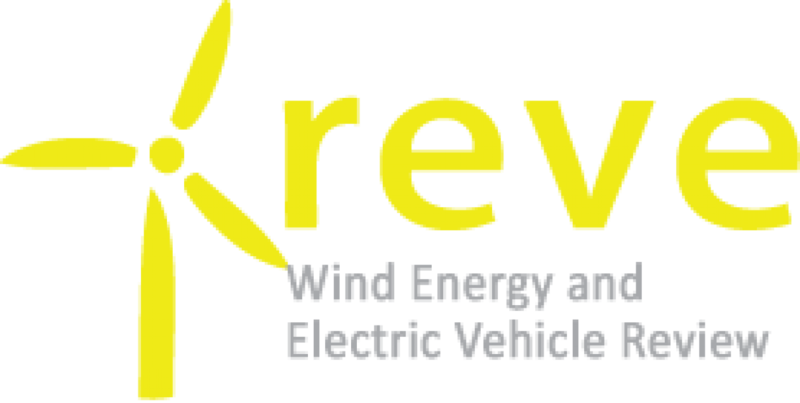 In addition, the company services over 7,500 MW, which is roughly one-third of Spain’s installed fleet. Spain is home to one of the company’s most important R&D centres, where more than 230 professionals work on the design of some of the firm’s latest turbine models. In all, the company earmarks nearly €400 million to R&D activities worldwide every year. Spain is also one of the company’s main global production and supply hubs, with 15 factories.